Continental divides define watersheds and can be found on every continent except Antarctica. 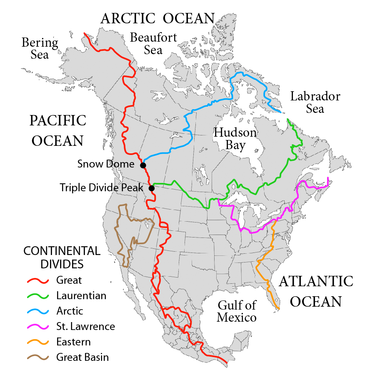 The Great Divide, which stretches from Alaska through the Rockies into Mexico, and eventually along the Andes in South America, is the best known continental divide in North America, however, it’s not the only one. This map shows the various divides and their watersheds. The green line, the Laurentian Divide, defines the watershed for Hudson Bay, meaning all rivers within the region eventually drain into the big northern bay. As you can see this includes all of Manitoba, most of Saskatchewan, some of Alberta, northern Ontario and Quebec, and ends up defining the western border of Labrador. Everything south of this line flows into the Gulf of Mexico via the Mississippi River. 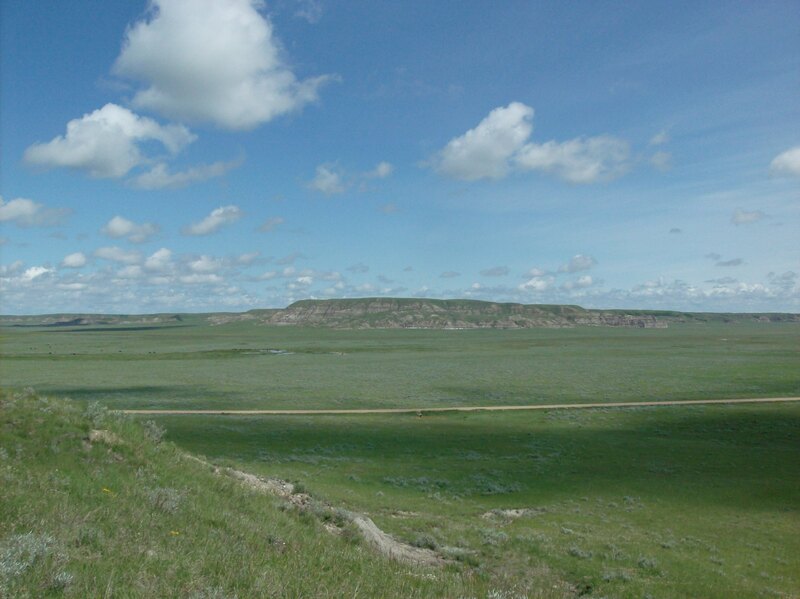 Several sacred places in Saskatchewan are located on the continental divide. 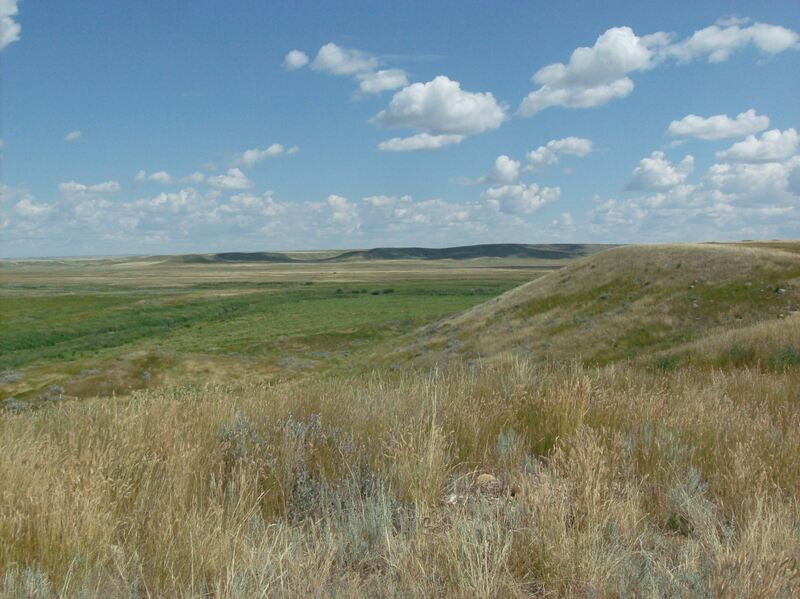 There are few drives I enjoy more than through the hills and gullies of the Missouri Coteau in southern Saskatchewan. The climbs are steep and the valleys deep with lots of blind hills that make you feel like you are flying. The highways generally are poor but passable with little shoulder and weeds window high right next to the road. On a recent journey through the Coteau I stopped on the Laurentian Continental Divide just south of Assiniboia and created this video report that’s less than 2 minutes long. Visible for miles, this white beacon is, in fact, Weyburn, SK’s original water tower. It stands atop Signal Hill. Learn its history. 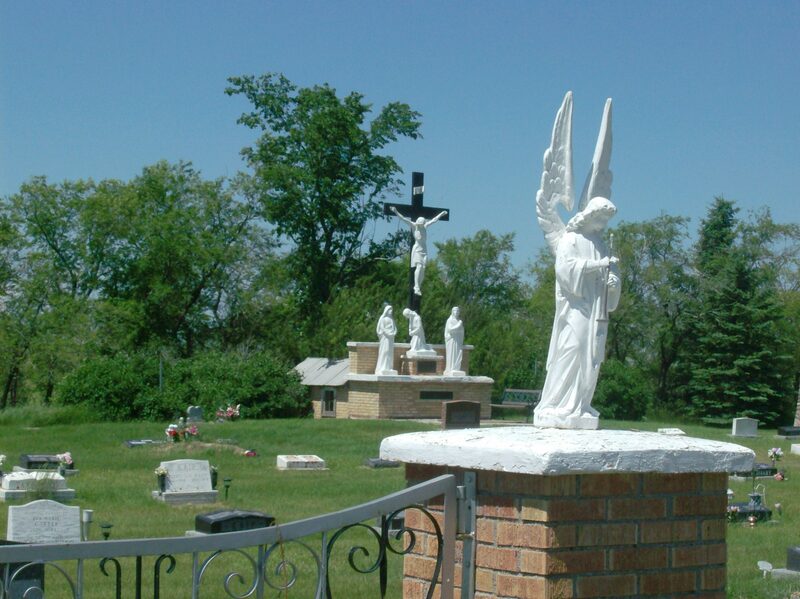 A couple of shots of Chapel Grove Cemetery just north of Minton, SK along Hwy #6. 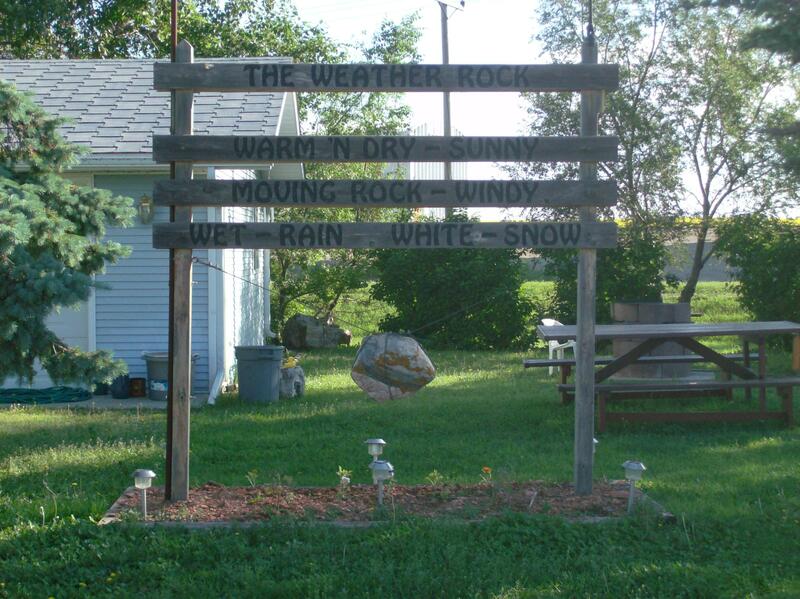 By consulting the weather rock, they know what the weather is like at the Country Boy Motel in Coronach, SK. 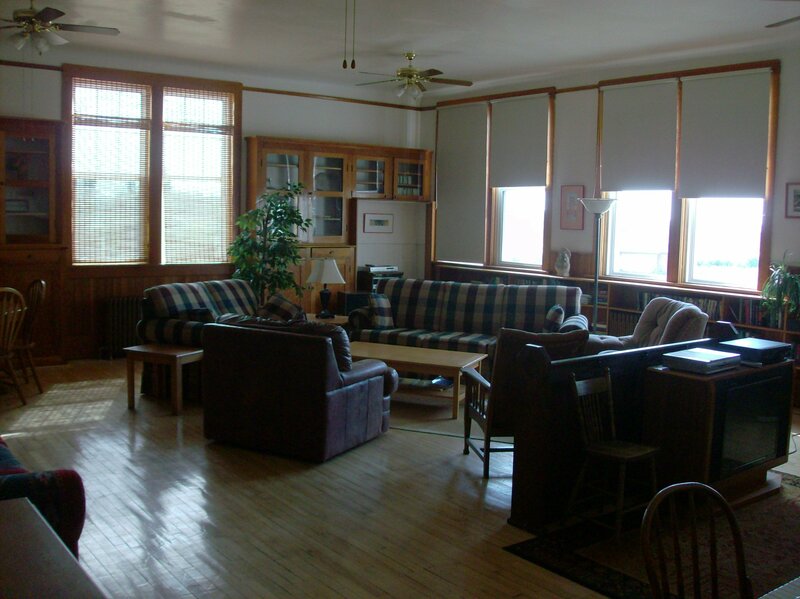 The motel’s website is completely appropriate, including the flubbed slogan “Your Home from Home”! Another weird motel sleep. 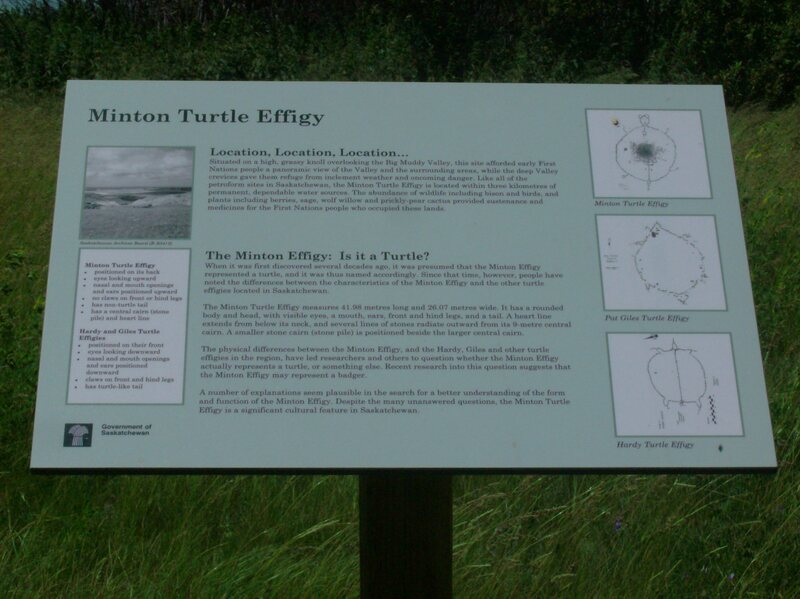 I visited Minton Turtle Effigy on July 3, a hot and breezy day in southern Saskatchewan. The dirt road up to the site had about a foot of water at its lowest point so I opted to walk rather than drive. Donning my rubber boots I slogged through the damp spots to the top of the highest hill around. The grass at the effigy site is tall and thick from the year’s abundant moisture, making the effigy difficult to find for first time visitors. 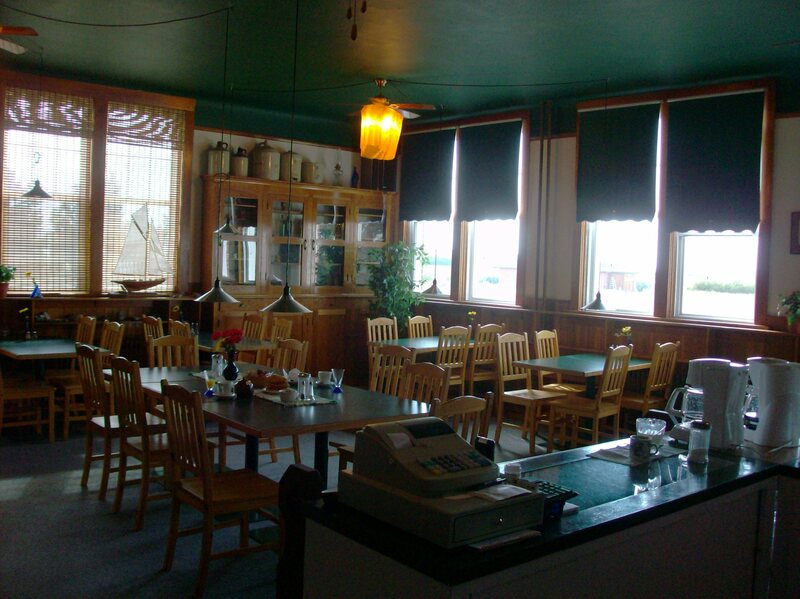 But it drew me in and I felt the welcome warmth and compassion I usually experience when I come here. With my new video camera, I took a panorama of the horizon from the site. 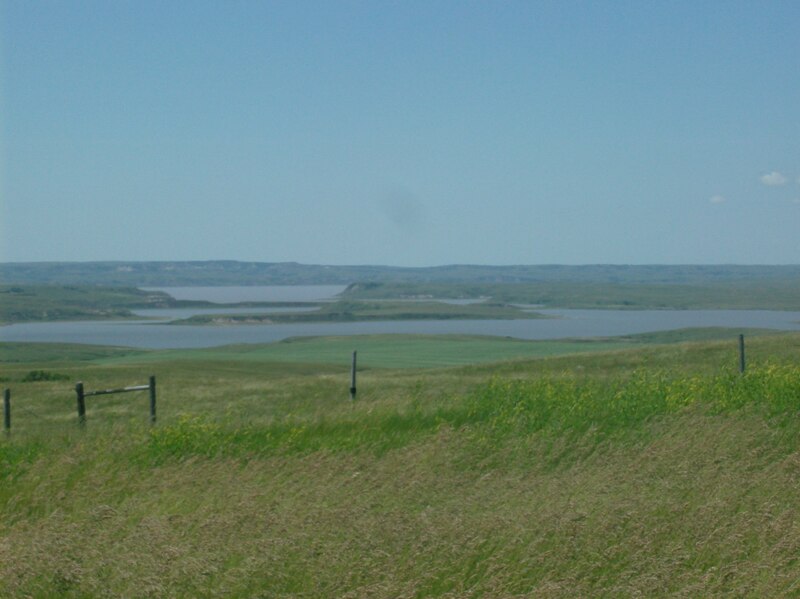 Looking southwest from the turtle effigy, this picture shows Big Muddy Lake, usually a dry bed rimmed with white alkali, fluid and blue on the horizon this year. 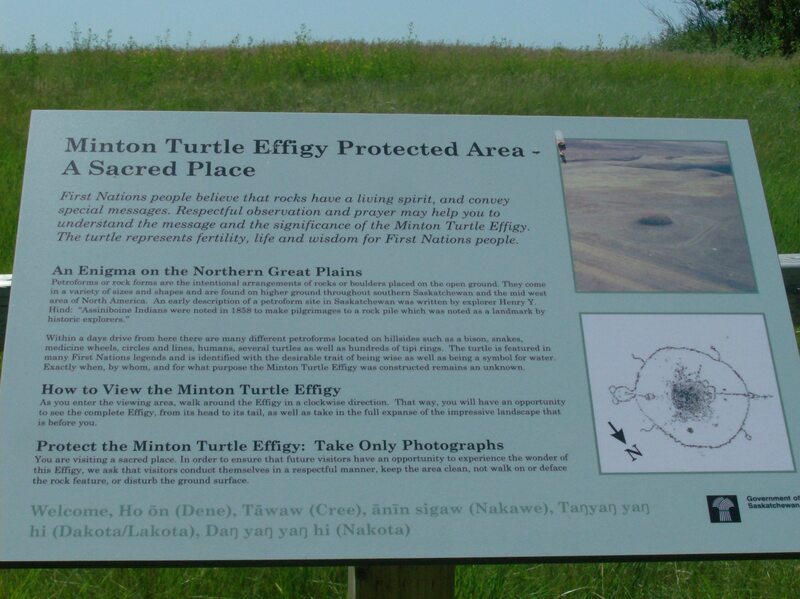 The Saskatchewan government has recognized the site by erecting three explanation boards for the place.The archies are still trying to figure out what the heck this thing is! 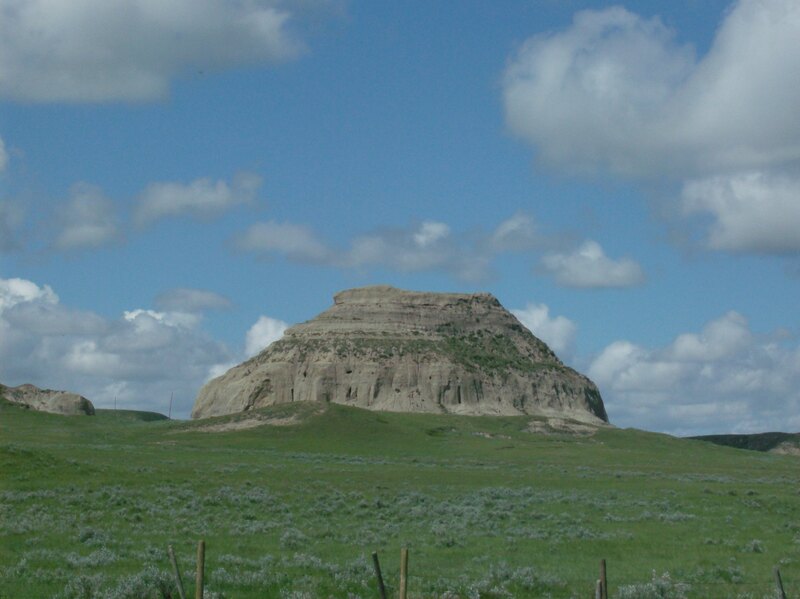 I wrote about Castle Butte in a post called Local Knowledge. 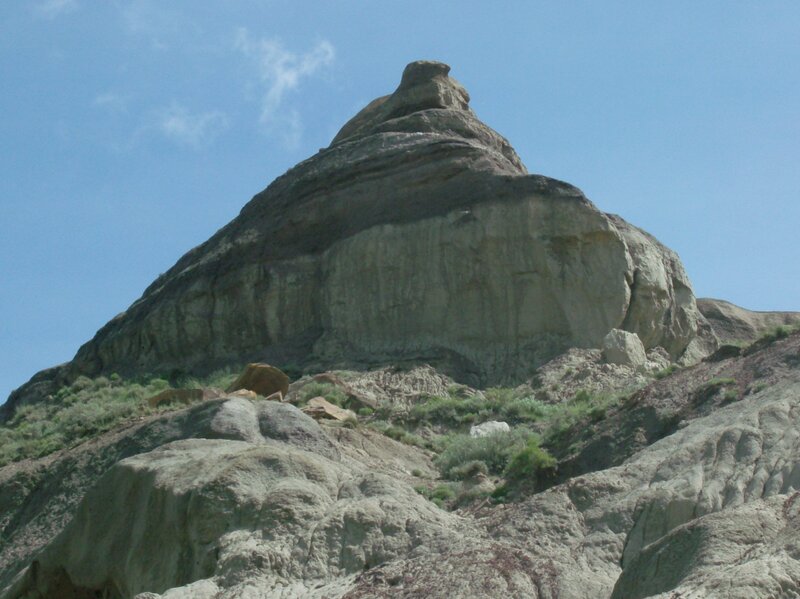 Castle Butte, a quarter of a mile around and over 200 feet high, is a huge, ever-eroding sandstone monolith that stands like a sentinel over the vast distance of the Big Muddy Valley in southern Saskatchewan, a prominent landmark for millennia. 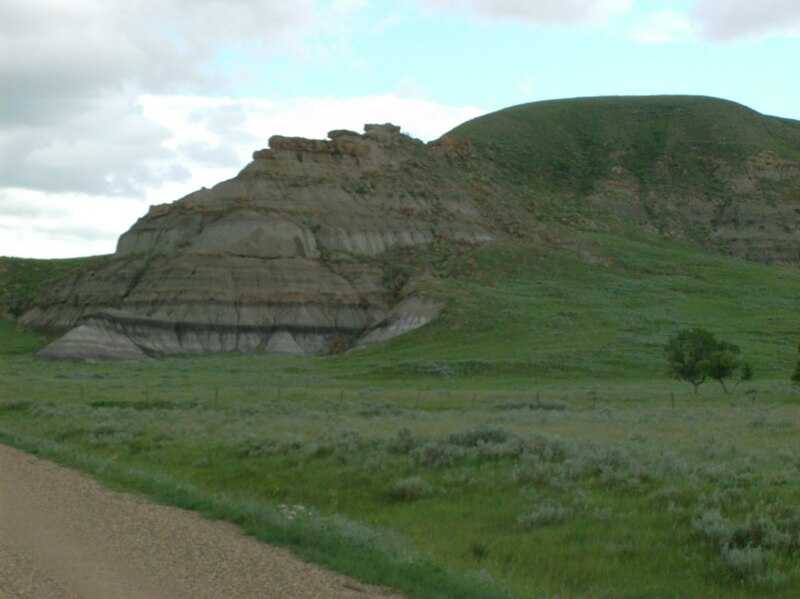 Many times, I’ve stood next to Castle Butte and gazed down the miles-wide valley, its stratified walls burnished by afternoon sun. Since the valley has filled up over the past 8,000 years, I imagine it five times deeper, engorged with torrents of cold glacial runaway meltwater, carving a new language in a system of channels across the land, its syllables the unstoppable will of gravity driving fresh water toward a warm and welcoming sea. 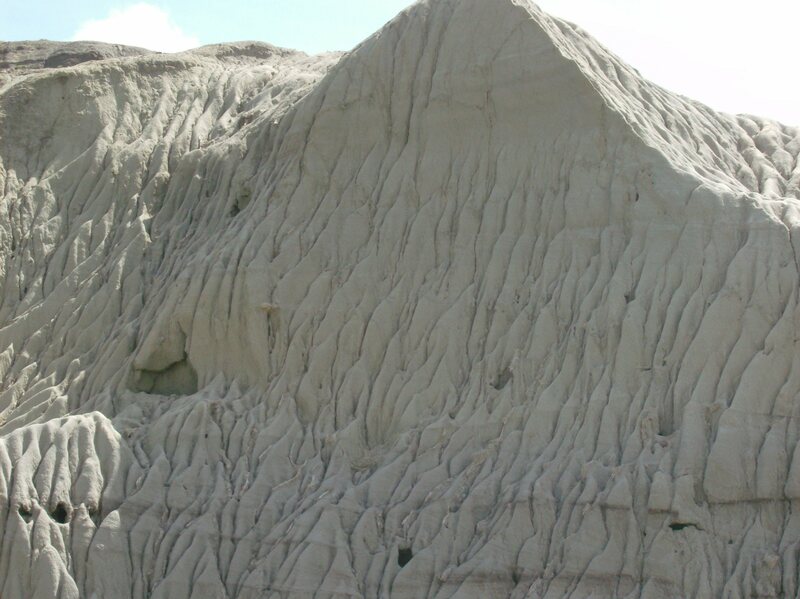 The same water chiseled Castle Butte’s precious shape. 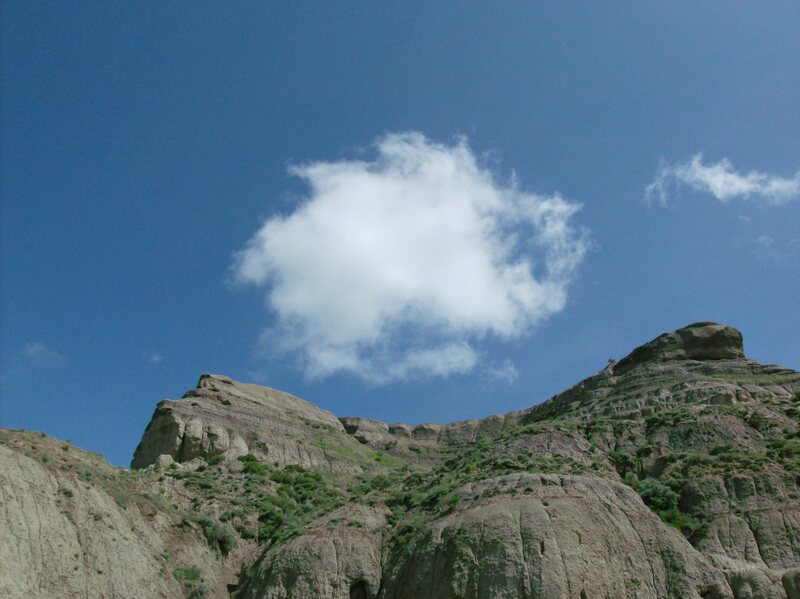 This picture shows the butte holding a cloud. This year, like last, I visited Castle Butte with my friend and spiritual ally Chris. Just like the returnees I write about in Local Knowledge, we were drawn back. Our detour due to flooding allowed the chance to visit the butte. We were eager to return and happy the gravel road through the valley was easily passable. 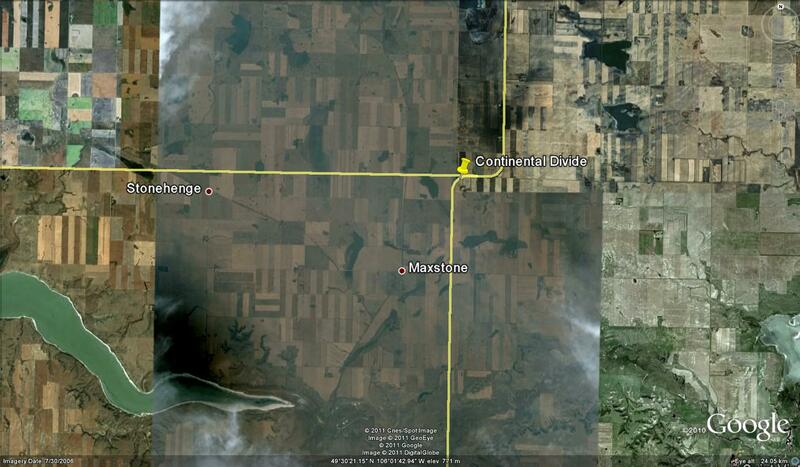 My experience with Chris defies the reports in Local knowledge since we were alone both times we stopped there. 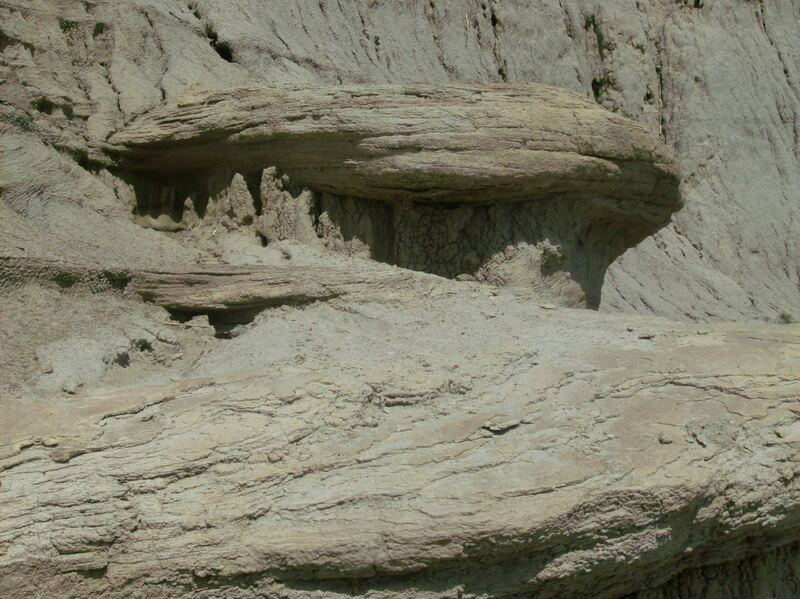 This year, the butte’s sparse greenery is lush from the rains, as you can see in my pictures. When it rains heavy, the butte looks like a fountain. 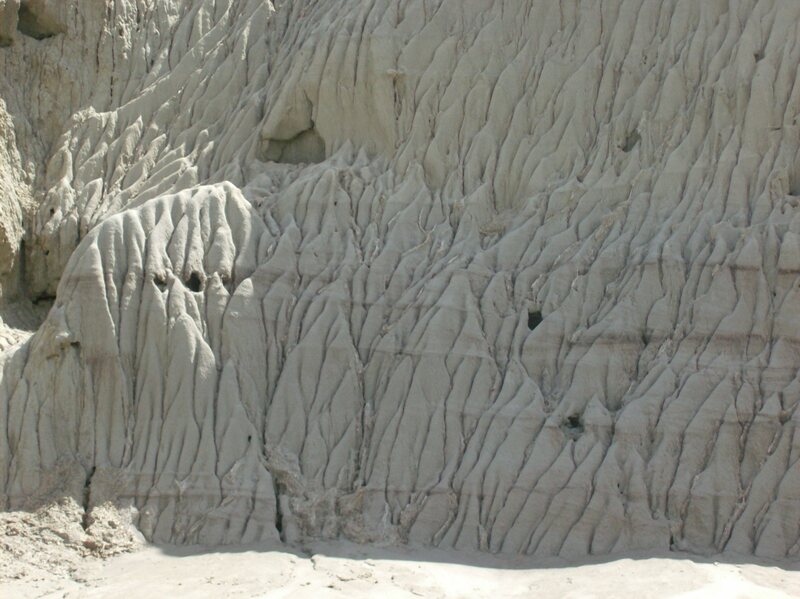 These four pictures show the streams of erosion on one small face of the butte. 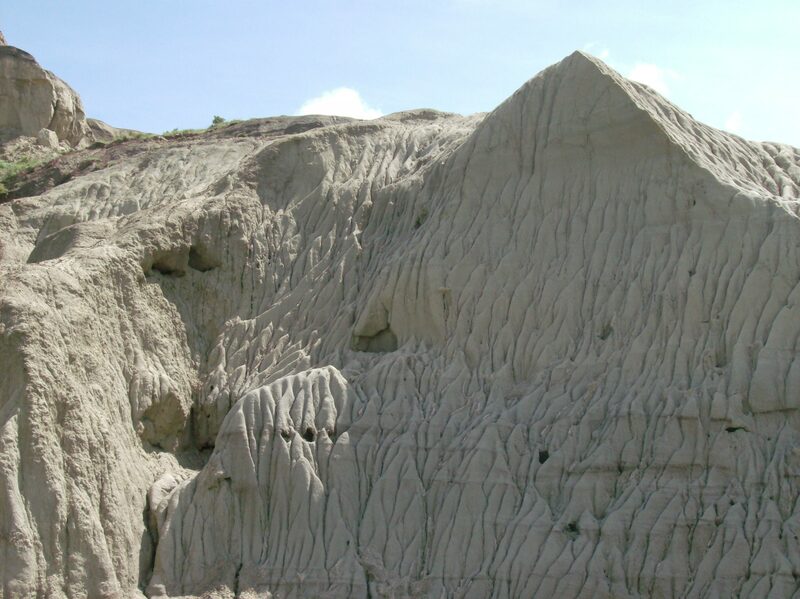 This picture shows one of several pinnacles that Castle Butte sports. 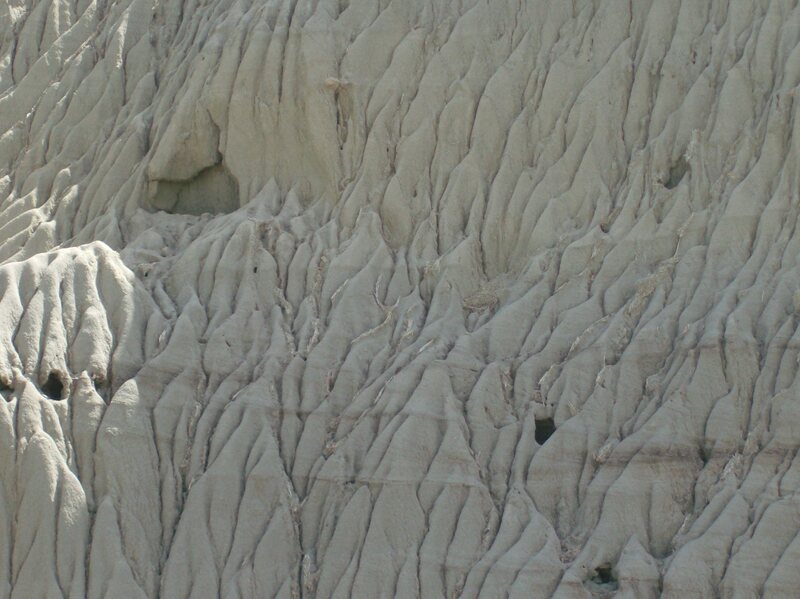 A hoodoo, sculpted by the elements, at Castle Butte. This is the view across the Big Muddy Valley from Castle Butte. 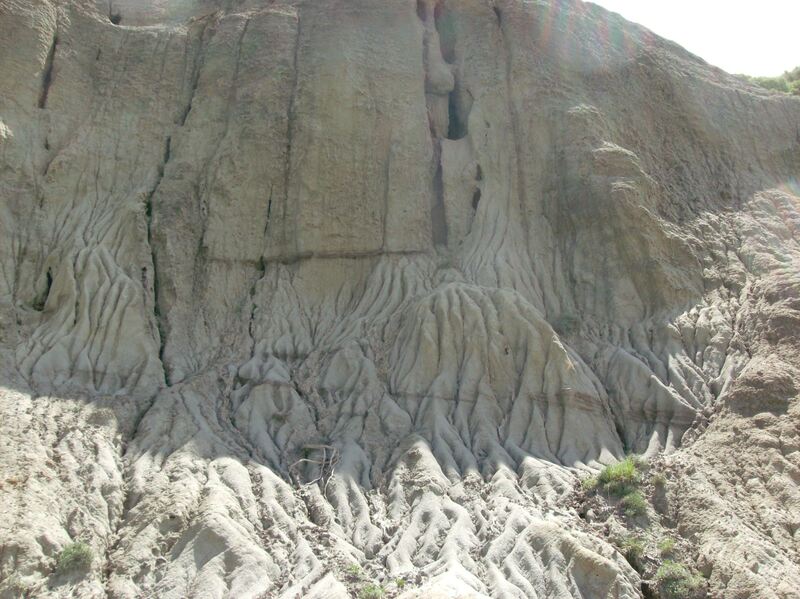 Castle Butte stands as mute witness to its wild, watery genesis but a full participant in its saga of erosion and change. The wind and water still etch their calligraphy into its soft, willing sandstone, the people still return and all the while, Spirit aids and abets our needs. Majestic and mysterious, Castle Butte waits. 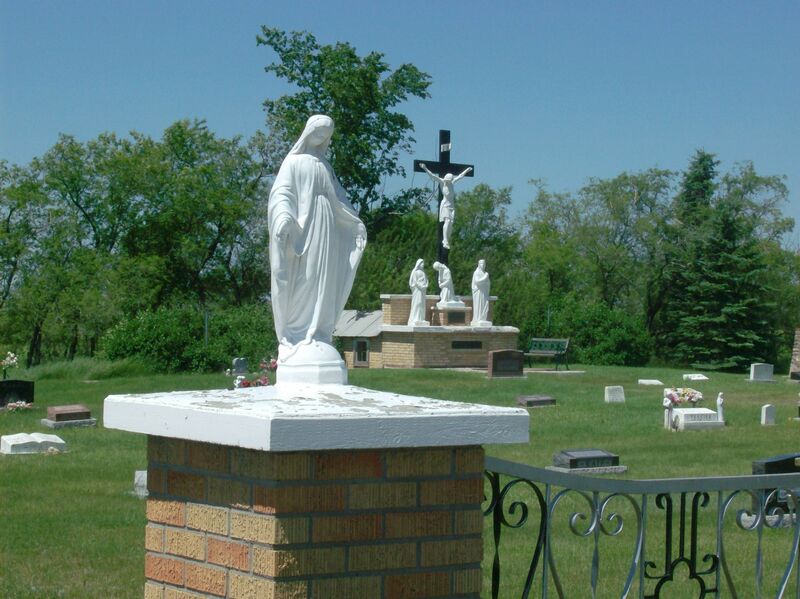 Another Sacred Place Coming Sunday! Let me take you away to a wild and desolate place on a hot summer day with a red-tailed hawk crying in the sky and Spirit awakening all around us. Where will we go? 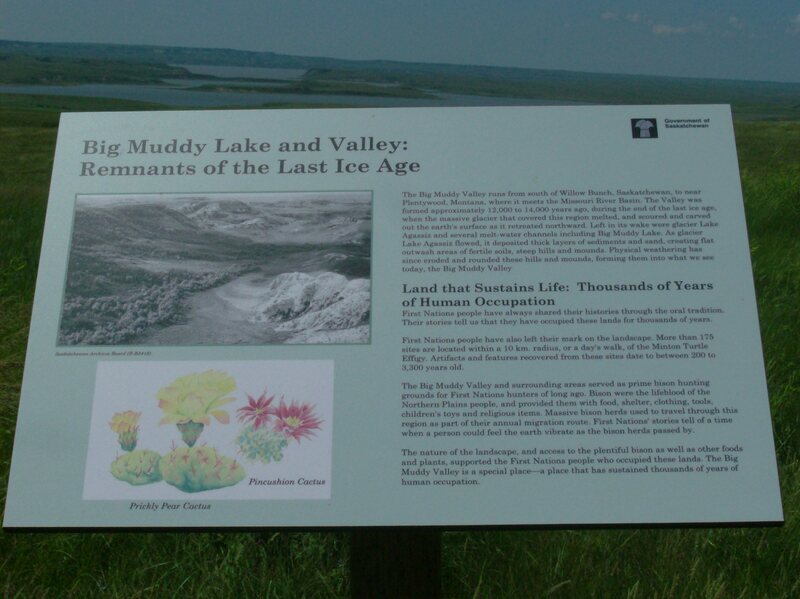 The last hint said it was farther west than the Big Muddy Valley in southern Saskatchewan. I can only tell you it is the single most mysterious place I have ever visited. It’s out there. Join me Sunday, January 30 for the next Sacred Place. 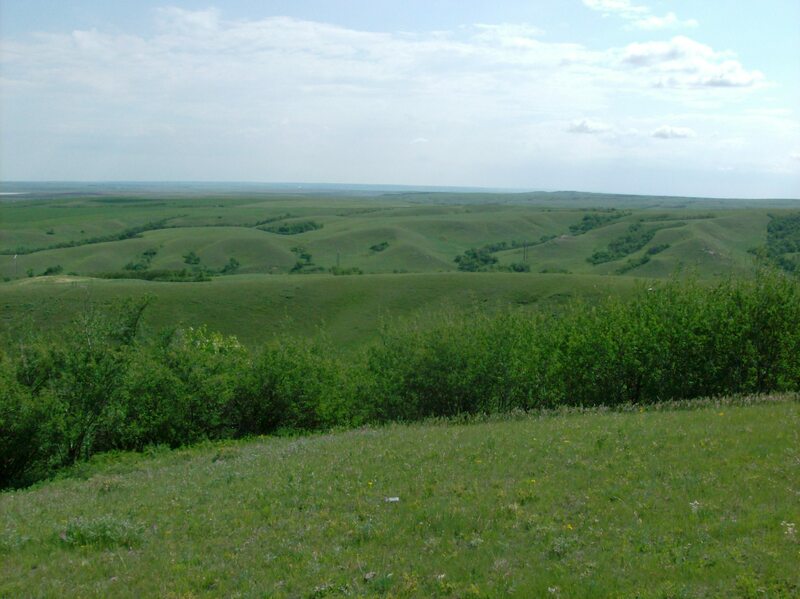 Lush rolling hills in scenic southern Saskatchewan during the wet summer of 2010. This is not the sacred place. I am continuing the 12 Sacred Places series by adding a new report on the last Sunday of every month. The next Sacred Place arrives here Sunday, January 30. Let me take you away! Where will it be? 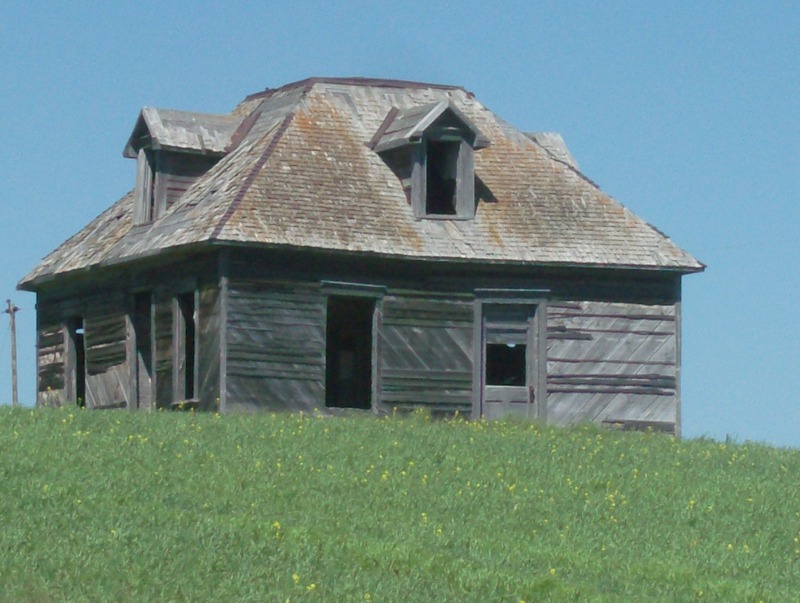 Hint: it’s further west than the Big Muddy Valley in southern Saskatchewan. Here’s a picture of the Big Muddy along Hwy 18. Over the past several Christmases, Linda and I sent out small seasonal projects celebrating the 12 Days of Christmas. These took the form of a series of daily emails ending on Christmas Day, each with a pictorial example of a Manitoba church (2005, 2006) heritage house (2007) or grand old Winnipeg school (2008) along with a small write-up. 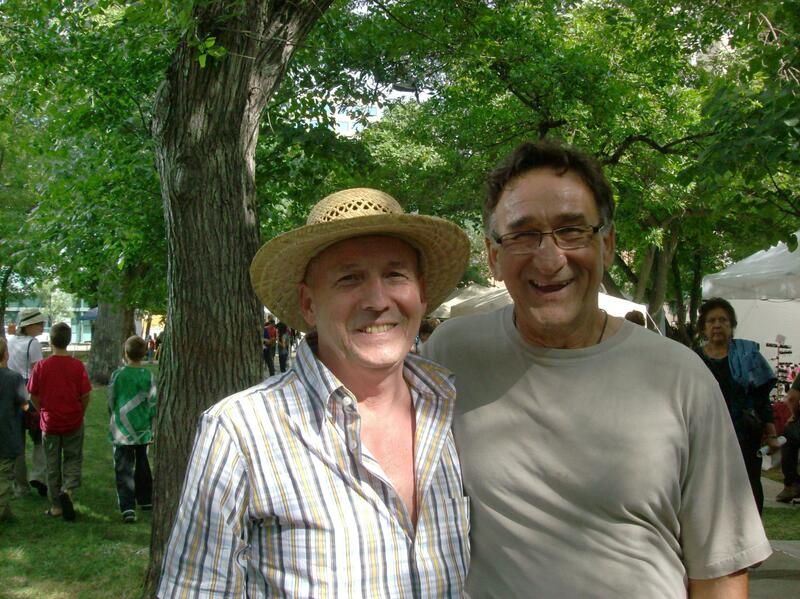 The ideas sprang from our mutual interest in Manitoba heritage. This year, with no Linda to inspire and celebrate with me, I have chosen something much more personal to share with you. 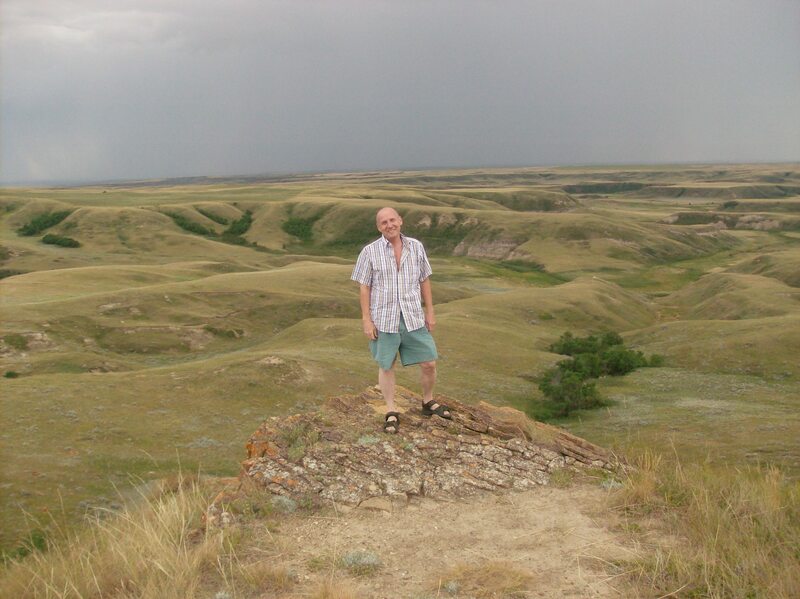 Every day, starting Tuesday December 14 til Christmas Day, I will post a report of my personal experiences at an ancient sacred site in Manitoba or Saskatchewan. 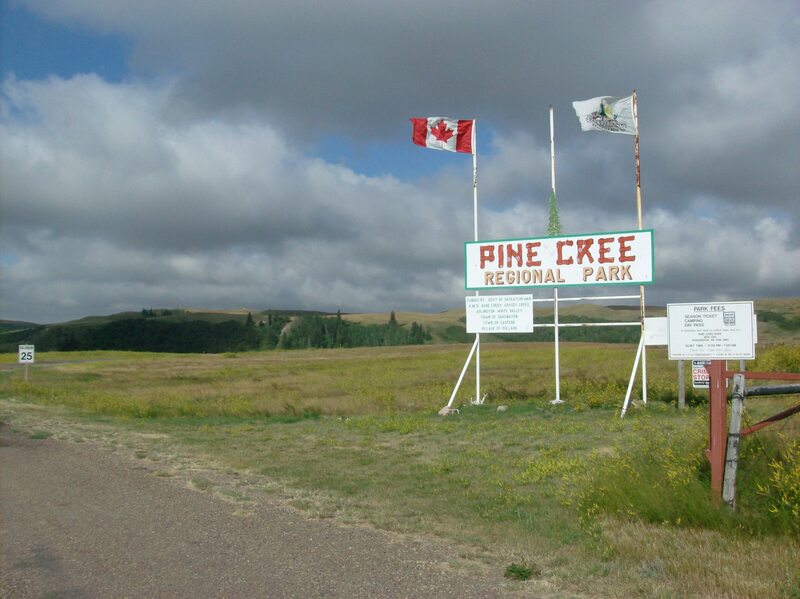 The series, called 12 Sacred Places, includes medicine wheels, animal effigies, ceremonial sites, sacred stones and vision quest sites I have visited since the mid 1990s. I returned to many of them this summer. People are curious about this and have urged me over the past few years to share my experiences. This series is my sharing format. 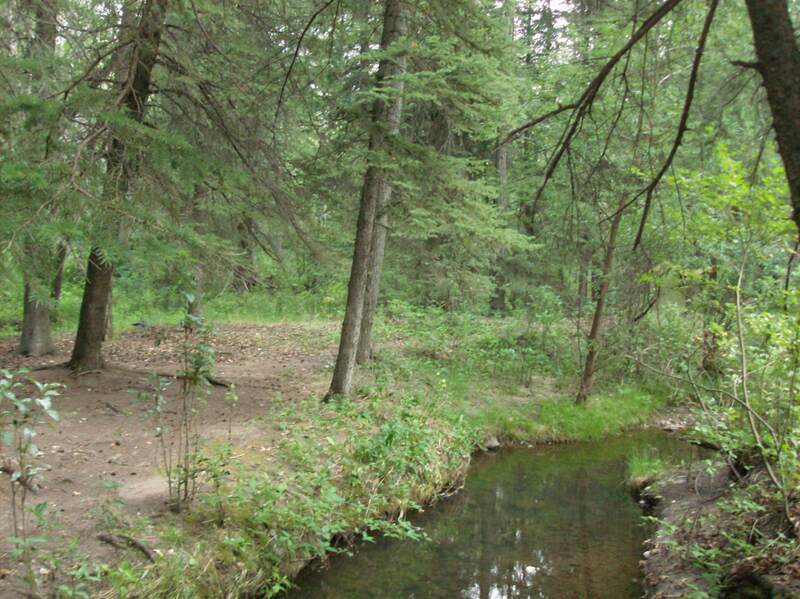 My reports will feature recent and past events at various sites from a shamanic perspective. Since 1994, I have practiced neo-shamanism, which I have adapted to my daily living. Exploring non-ordinary reality using trance, power animals and spirit helpers are part of my everyday life. I also have a context for the reports. This past summer, purposefully and with powerful grief-healing intent, I drove the familiar process of grief over Linda’s death. This intentional processing used all the inner resources I have developed in the past 15 years, all the helpful spirits who abide at sacred places and who know me from past visits, and the enormous love of harmonic friends, organic and inorganic, fleshy and non-fleshy. All three of those elements appear in my reports. A formidable context! The series flows from my own experience and will include pictures along with illustrations. While past series were picture-heavy with few words, this will be the opposite. Most of the places are difficult to capture with photographs, but I have tried to use interesting shots, mostly my own. Since I report on inner psychic and subtle realities as well as physical reality, 12 Sacred Places will create a vast expanse of skepticism open for healthy habitation. I understand that and that’s fine. In accord, I need you to understand I am NOT trying to sell you anything, change anyone’s mind about any aspect of spirituality, encourage or discourage a specific form of being in the world. I am reporting. I am Witness. If the series spurs you to visit any of these places, you will find my directions to them in the reports are purposely vague. I will gladly supply actual physical directions to them as needed. Just ask. Bonus! Day Tripping. 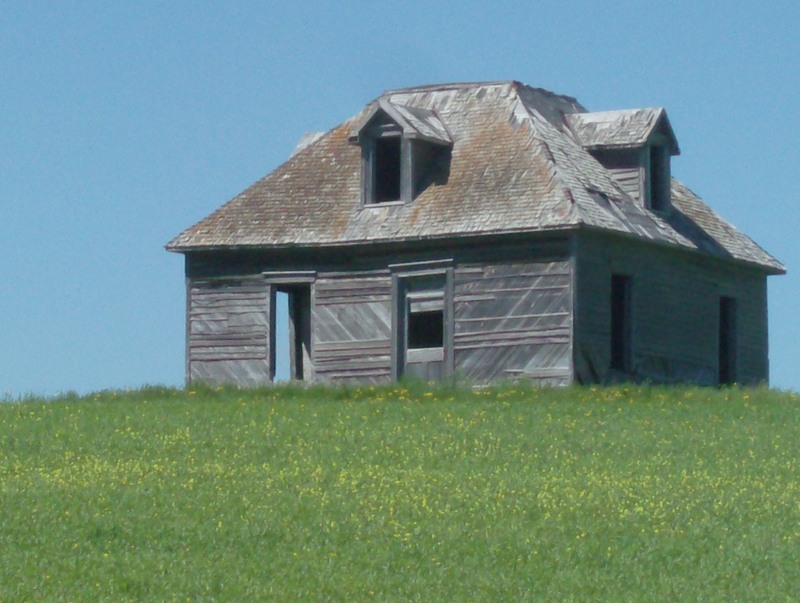 From seedy motels to surprise arboretums to ghost towns, each daily report will conclude with a shorter lighter feature on a non-sacred site I encountered over the summer while putting 27,000 kms on a couple of rented Avengers. You’ll be amazed and amused at what I found. You can find the daily reports here on my brand new blog ReadReidRead starting Tuesday, December 14, 2010. I will be posting a new one every day until and including Christmas Day. 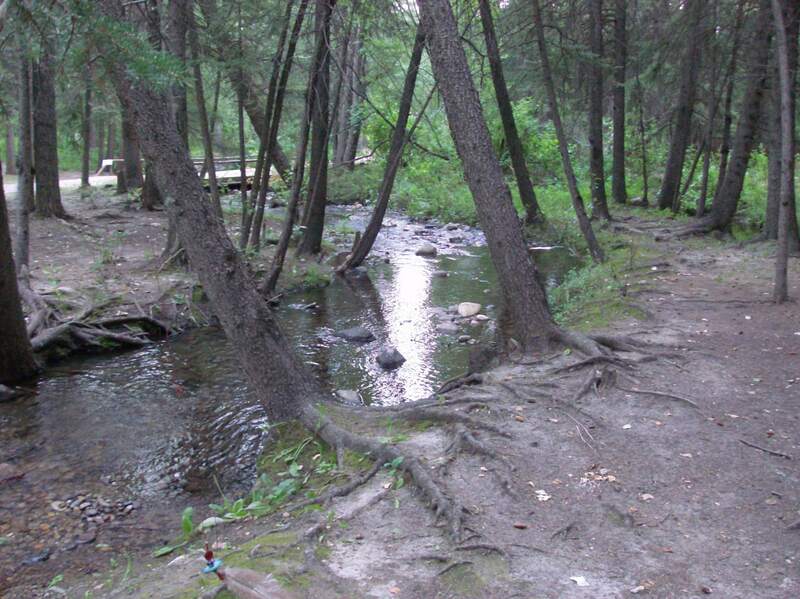 Helpful background information about shamanism and sacred places can be found in FAQ. 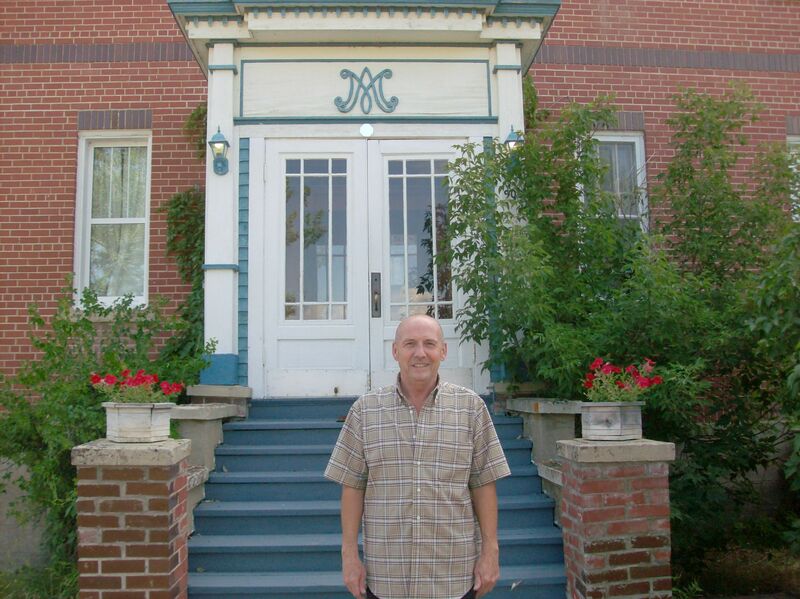 In addition, every day the blog will feature one of the buildings from past years: 2005 Manitoba churches and 2007 heritage homes. One a day will be posted on the same 12-day schedule.